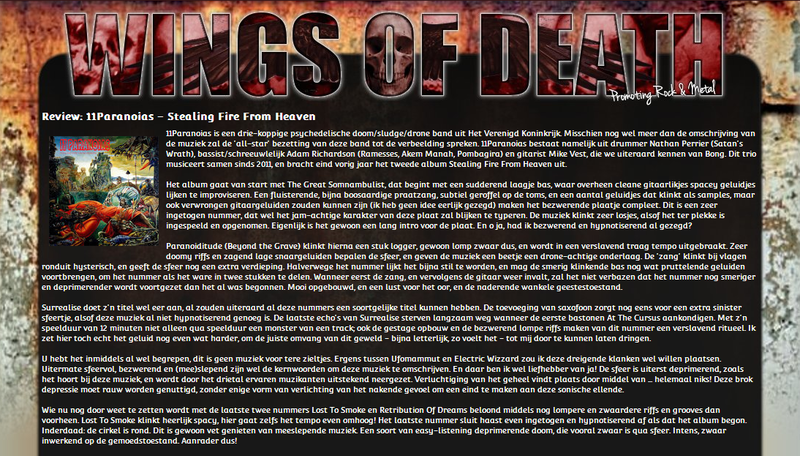 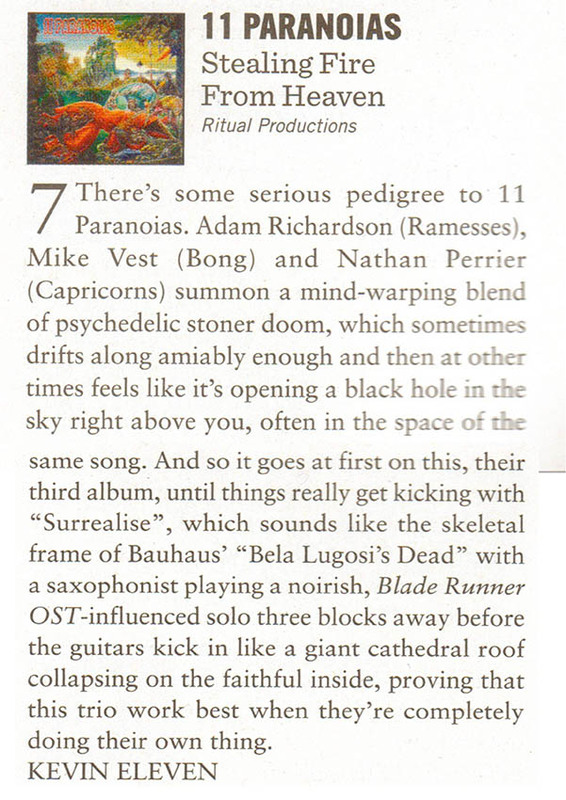 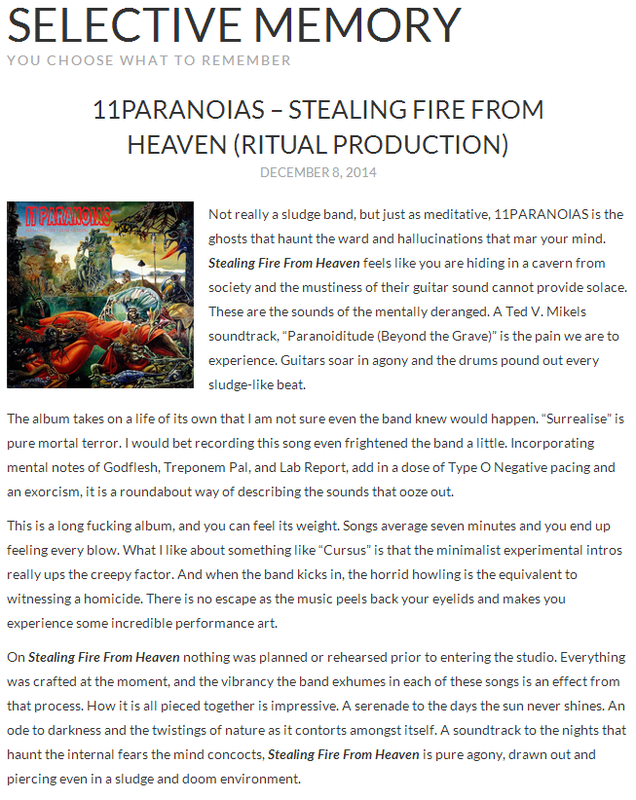 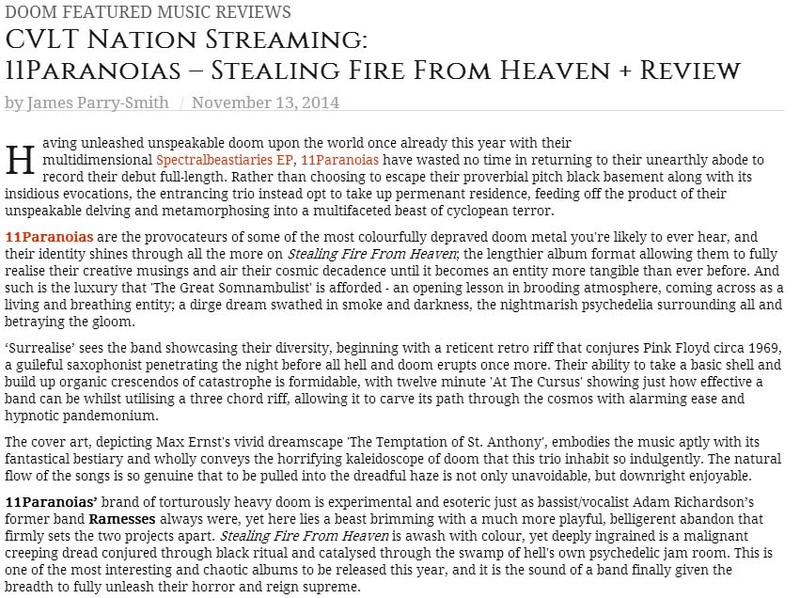 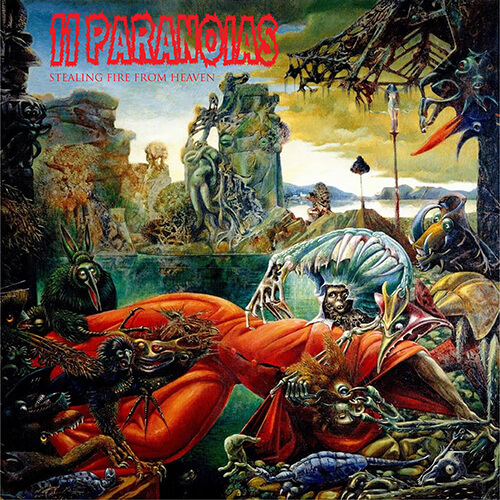 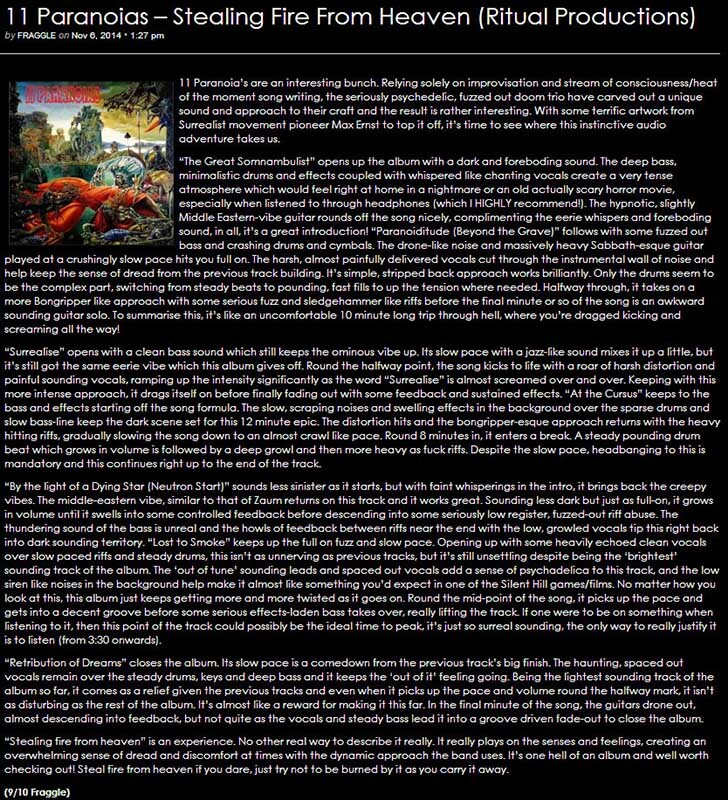 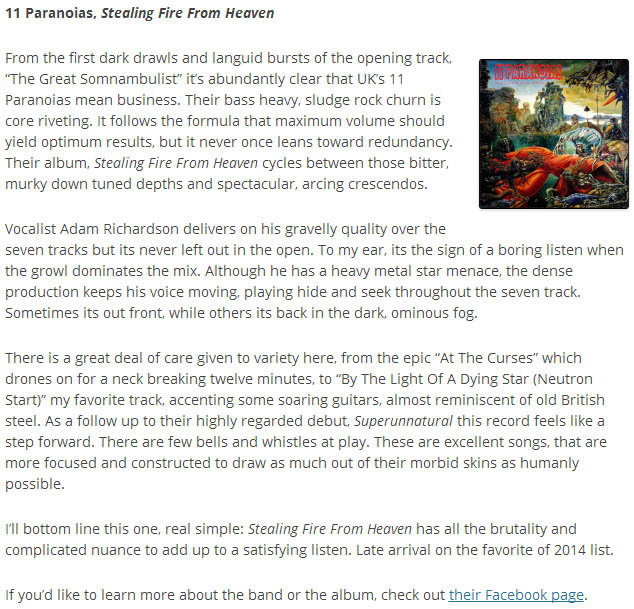 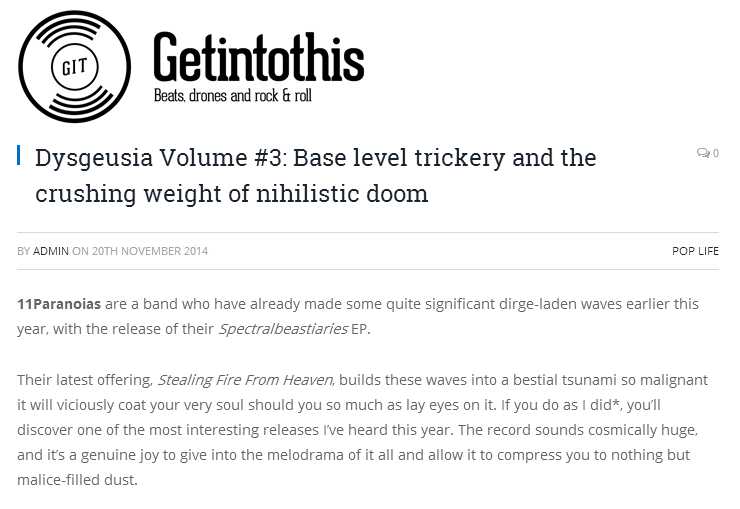 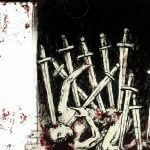 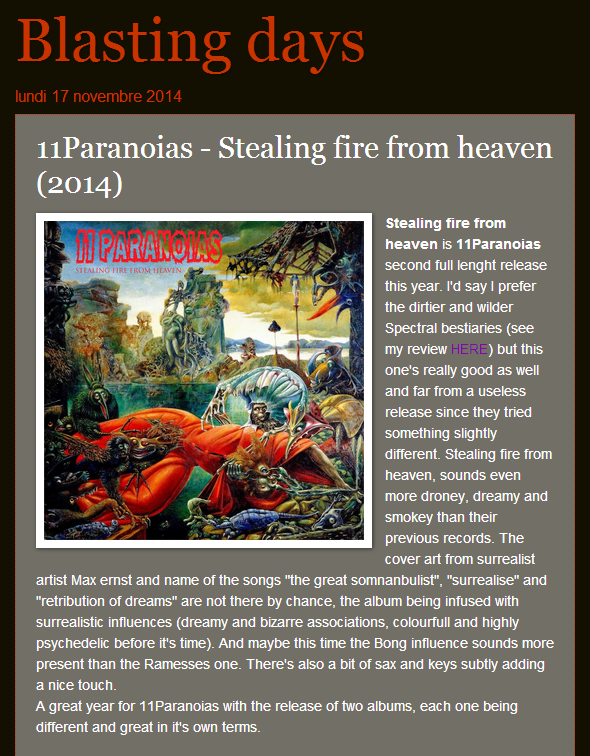 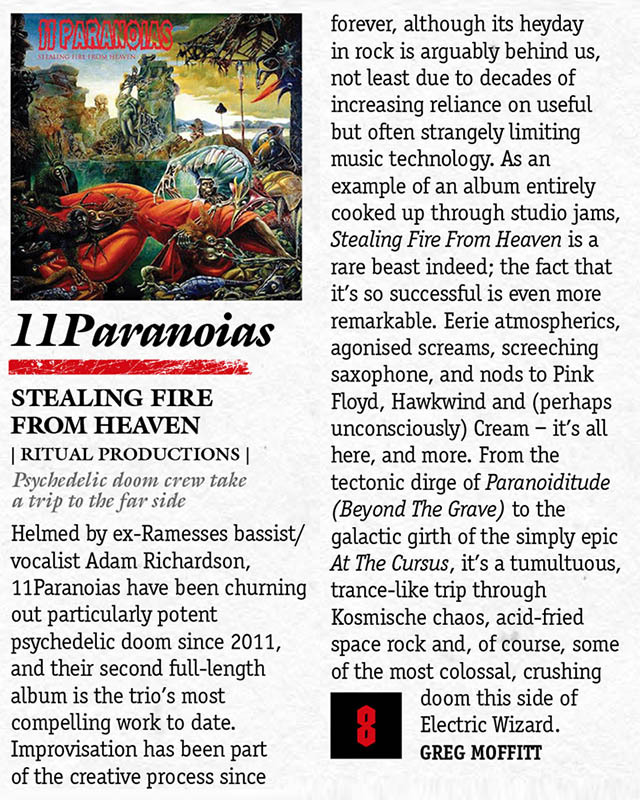 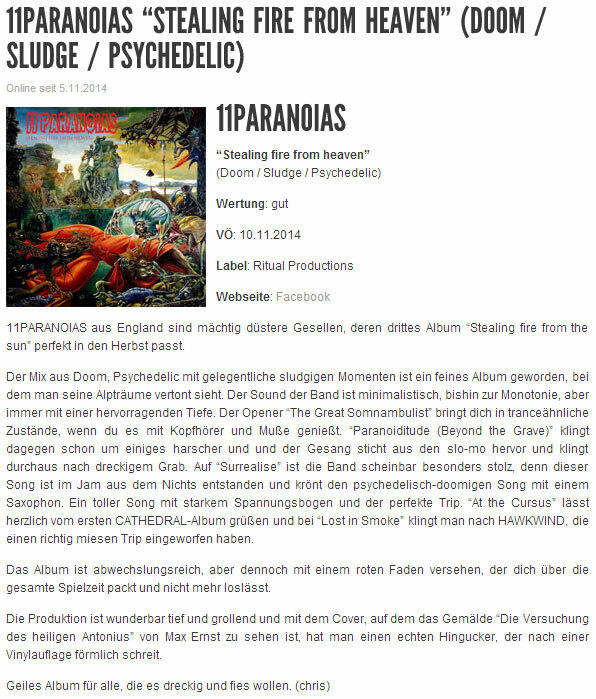 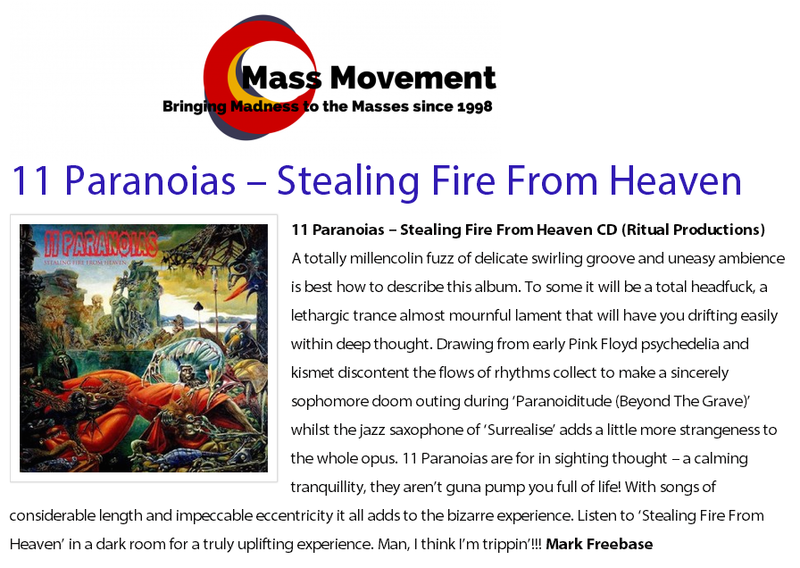 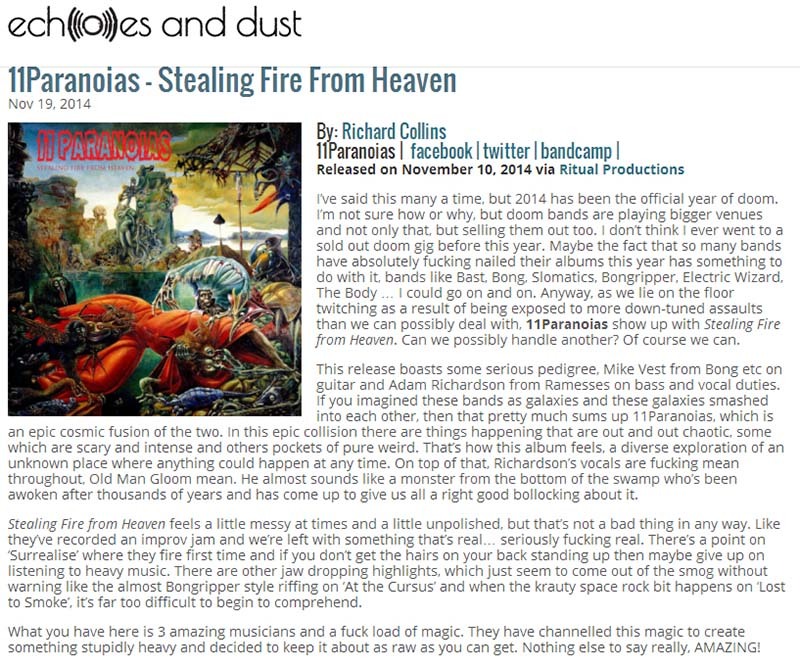 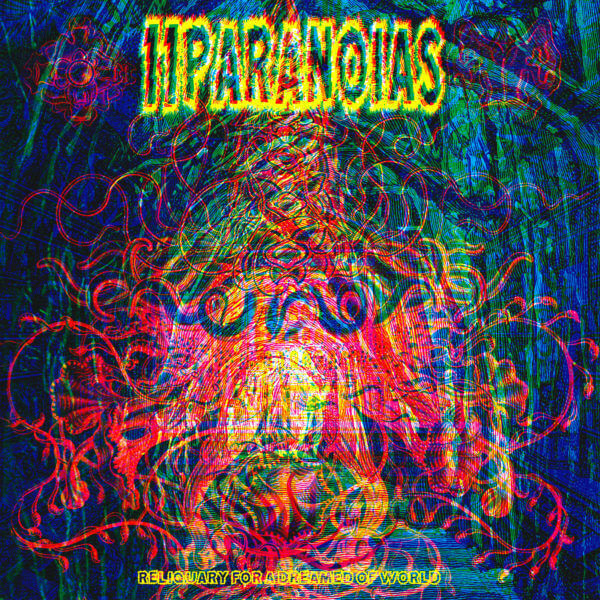 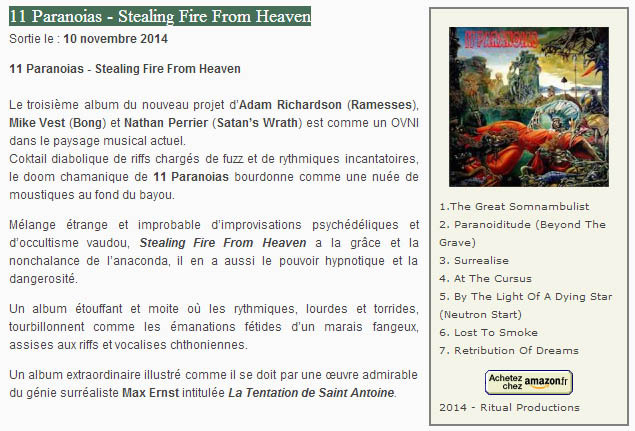 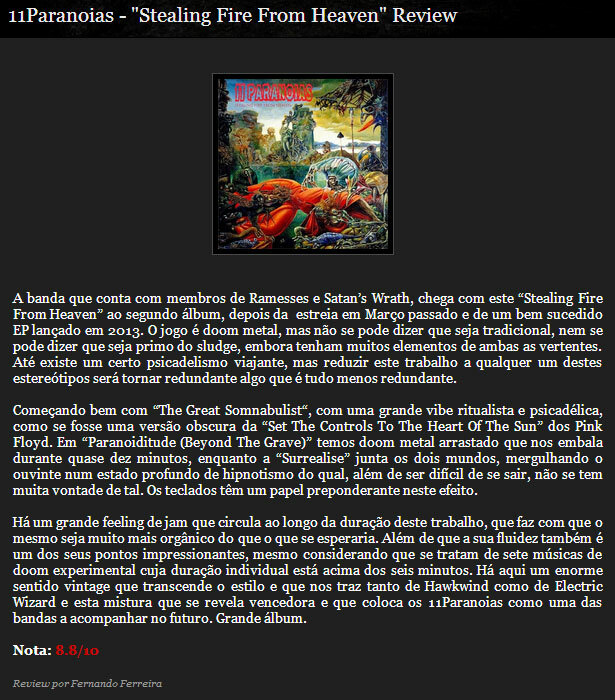 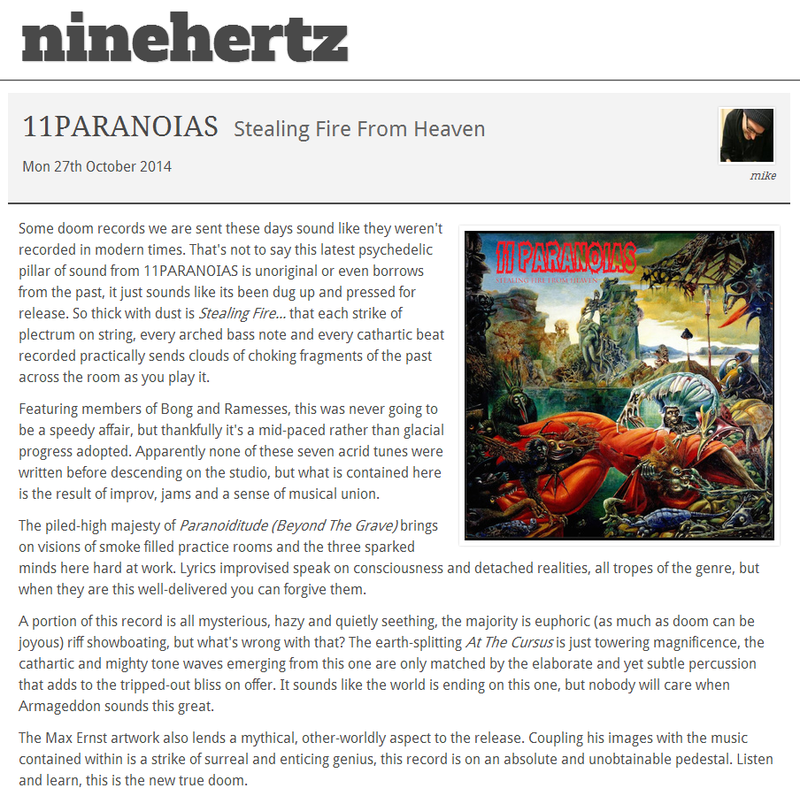 Stealing Fire From Heaven is the third release from 11PARANOIAS, following on from their 2013 offering Superunnatural, and Spectralbeastiaries which was released in March 2014. 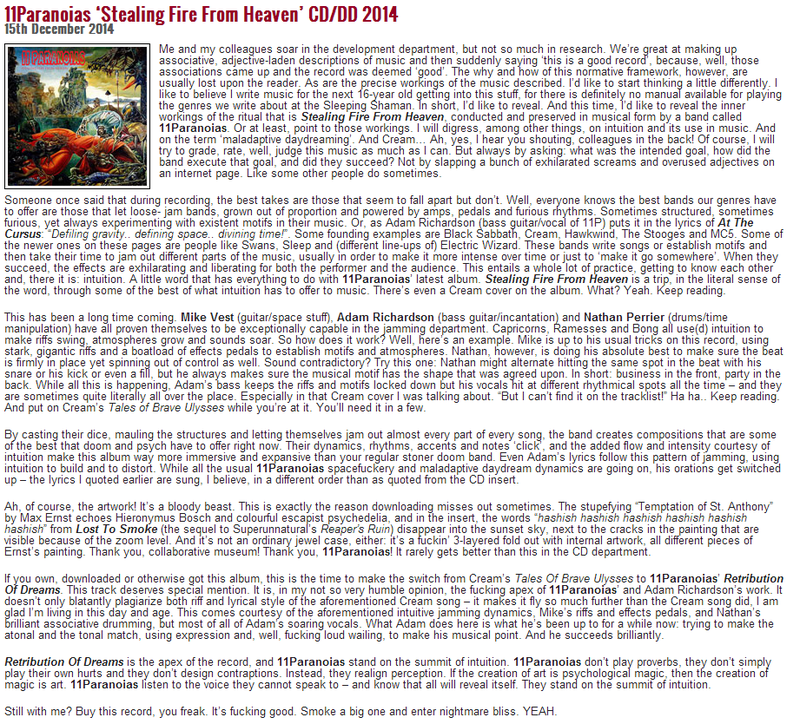 Stealing Fire From Heaven 180 gram double LP features the epic previously unreleased 15 minute long exclusive bonus track, ‘Zeronerous, and is housed in thick heavy weight 70s style gatefold jacket, with full colour insert, and full album download card. 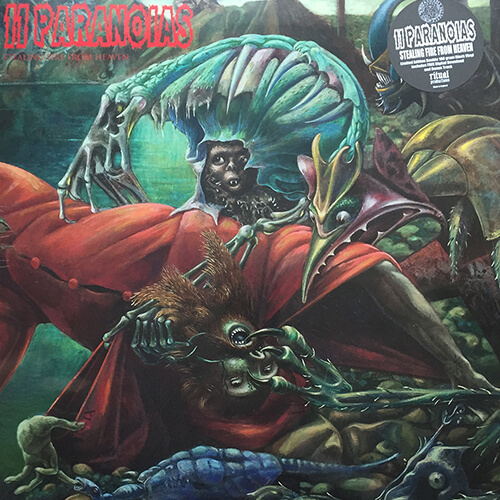 Available in black vinyl and ‘Augmented Surreality’ splatter. 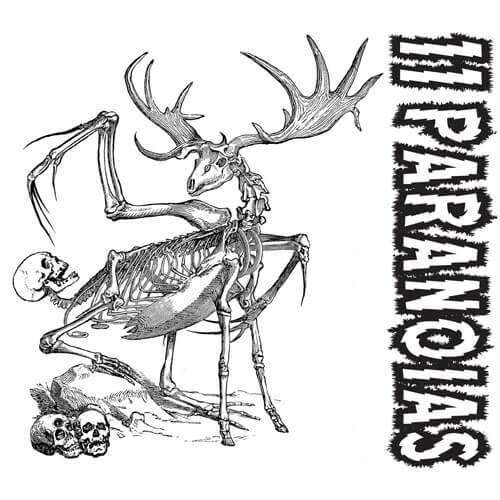 First 75 orders will receive 3 patches and 3 vinyl stickers. 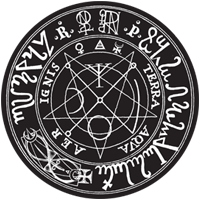 And the first 30 orders will also receive a free graphite record bag with silver Ritual Productions sigil print , in addition to the free patches and stickers!